Welcome to the American dream home!! In~ground pool out back, half court basketball surface, and poolside cabana with all the essentials for a BBQ enthusiast. This home has been meticulously maintained, updated and loved. The kitchen is large with beautiful granite counter tops, and a large island for gathering. The living room is also large and provides plenty of room for any furniture you may have. Three bedrooms can be found on the main floor, including the master, which has a nice sized tub with a separate shower and walk~in closet. The 20x46 salt water pool can be heated with sunlight or electric power. Salt water pools have been known to be very cost effective opposed to chlorine, as well as having health benefits. This area is complimented by two decks off of the home, one of which having a large in~deck hot tub. 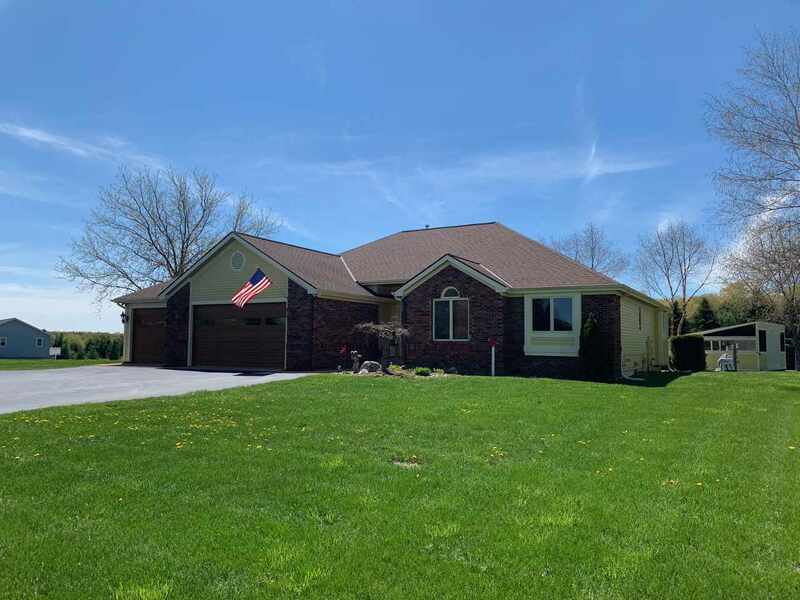 This ranch style home has everything you need, from an open concept first floor living, to an expansive fullfinished basement equipped with another kitchen, living room, bunk room, and laundry. Enjoy tinkering on cars or projects in the heated garage with epoxy flooring. Also, the walkway and apron around the garage are heated, so forget about shoveling!! Must schedule a showing to truly appreciate all this home has to offer!! !